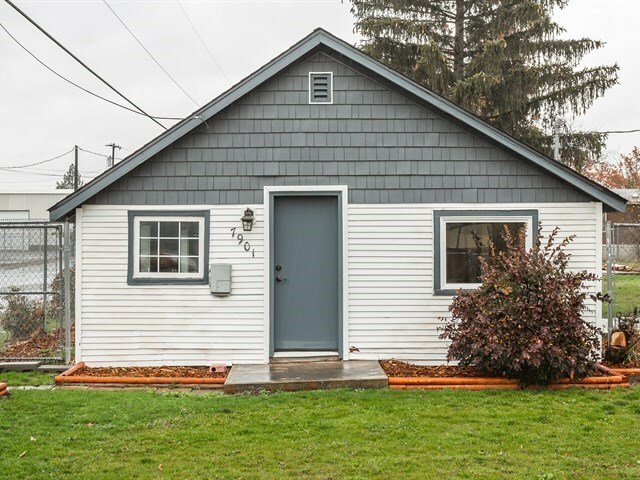 7901 E Valleyway Ave, Spokane Valley, WA.| MLS# 201911499 | Cooper Realty Services (509) 599-1111 | Spokane WA Real Estate | Contact us to request more information about our Homes for Sale in the Spokane WA area. You will appreciate the attention to detail on this Remodeled! . New Roof, New Electrical (including outlets and fixtures), New Gas furnace & duct work, New A/C, New exhaust-fans, New flooring, New Plumbing Fixtures, New Kitchen Cabinets, New Kitchen Appliances, New doors, New Electric Fireplace New landscaping, Some New Siding, and New fresh new Paint inside and out. Completely fenced and room for a Shop!